By Sinead Makk | November 26, 2013. 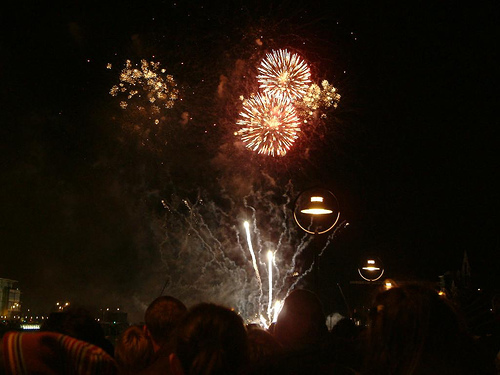 The annual New Year’s Eve Dublin festival will kick off on December 30th with lots of events planned to ring in the New Year. Love Dublin Day, which takes place on the same day, will mark the beginning of the festivities. Exactly as it suggests, Love Dublin Day is devoted to appreciating and embracing everything that is good about the city. During this day tourists will have a chance to explore the lesser appreciated spots of the capital such as Capel Street and South William Street. The People’s Procession of the Light will signify the year of the Gathering’s end and is intended to be the biggest event of the festival. Anyone looking to be involved in the procession, which will go through all the streets of Dublin, is advised to register now before it books out. Also taking place as part of the festival is the Big Brunch. On January 1st, Meeting House Square will transform into a free venue filled with activities for all the family. The brunch is set to feature everything from live music and dancing, to children’s entertainment. The Countdown Concert will see some big names in music taking to the stage to ring in the New Year. Ska’s cockney boys Madness will be headlining the gig, and alongside them there will be music from our very own Ryan Sheridan. In the run up to the event there will be more big artists announced. The event is strictly over 18s and tickets, which cost €25, are on sale now.